On 10-11 May 2016, the 12th China-ESA Space Science Bilateral Meeting was held in Shanghai, which was jointly hosted by National Space Science Center (NSSC), CAS and CAS Shanghai Branch. 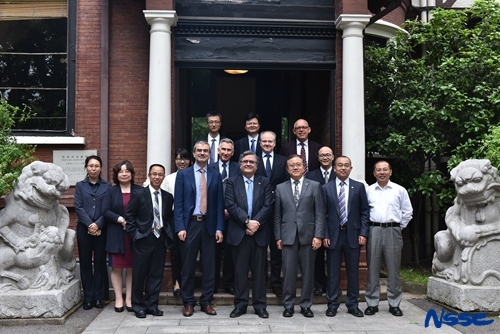 Dr. Alvaro Gimenez, ESA Director for Space Science and Exploration, headed the ESA delegation and the CAS participants came from Bureau of Major R&D Programs, Bureau of International Cooperation, Shanghai Branch as well as National Space Science Center. On behalf of XIANGLI Bin, Vice President of CAS, Mr. YU Yingjie, Deputy Director General of Bureau of Major R&D Programs, extended his warm welcome to the ESA delegation. Dr. WU Ji, Director General of NSSC, CAS, delivered a progress report of the CAS Strategic Priority Program on Space Science with emphasis on the potential scientific discoveries of the recently launched DAMPE mission and SJ-10 mission. Dr. Alvaro Gimenez commented that the rapid development of Chinese space science program was impressive. As scheduled, he presented a report on the status of the present space science program at ESA and areas of potential international cooperation. The major topic of the meeting revolved around the Solar wind Magnetosphere Ionosphere Link Explorer Mission (SMILE). Both parties reported to the meeting the recent progress of the mission and discussed the responsibilities of the parties, which will be conducive to an implementation agreement under the CAS-ESA space cooperation framework. In addition, both parties introduced the respective gravitational wave detection plans and agreed that there is a cooperation possibility in this area. The 13th ESA-China Bilateral Meeting will be held in May 2017 in London. Both sides signed the minutes to formalize the bilateral cooperation. 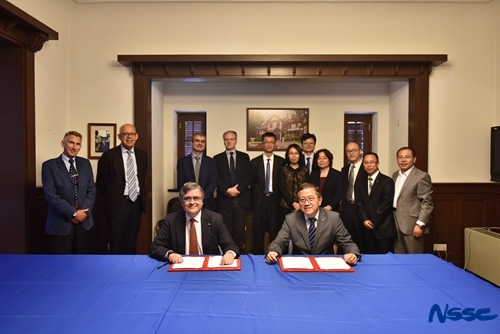 The ESA-China Bilateral Meeting, which has been held for 11 years since 2004, is the annual cooperation mechanism for Chinese Academy of Sciences and European Space Agency based on the cooperation on "Double Star Program".